This flexible multifunctional 5-volt RGB LED light strip with super bright multicolor 5050 LEDs features a self-adhesive backing. 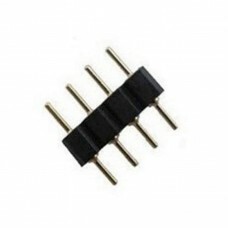 Voltage requirements of this model are 5V DC. 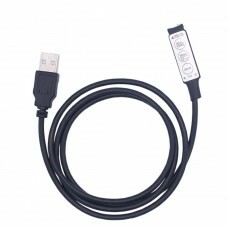 The 5V power requirements make them an excellent option for direct connection to anything with a USB port. You can quickly add lighting to a computer, television with a USB port, stand-alone USB power adapter or a separate 5v power supply. The RGB Strip is available in either 1 m (3.3 feet) or continuous lengths of up to 5 m (16.4 feet) long. For lengths more than 5 m, strings can be daisy-chained together. Care should be taken to not chain more than three 5 m lengths together due to voltage losses in the LED ribbon. It is common to use the 60 LED per meter model with engraved sign edge lighting without worrying about power requirements. Typically the lengths used are very short (less than 15 cm or 6 inches). The higher density of light provides a superior display in this application. Need a custom length of LED strip? Each length can be trimmed to custom lengths in 33mm (1.3 inches) increments. Just cut the strip in the center of the connector pad and re-solder power wires to the copper connections (you only need to apply power to one end of the ribbon). 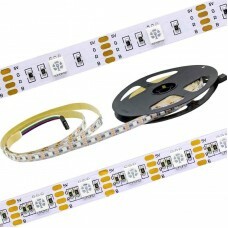 The 5v LED strips are available with either 30 or 60 LEDs per meter. Each LED on the strip is a 5050 model which generates a tremendous amount of light for its size and is one of the most efficient configurations available. The 30 LED per meter model has sufficient brightness for the most demanding applications. For applications where a higher density of light output is required, such as with engraved sign edge lighting, the 60 LED per meter model might be a better choice. 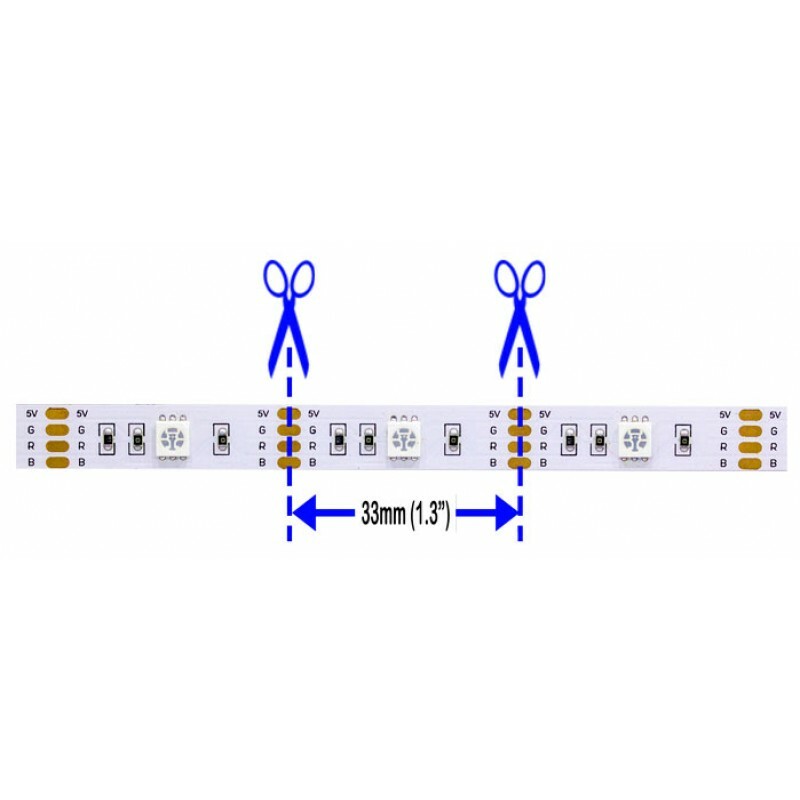 Keep in mind that power requirements for the 60 LED per meter model will be twice that of the 30 LED per meter model, so care must be taken to ensure your power source can provide sufficient power to run the strip length. 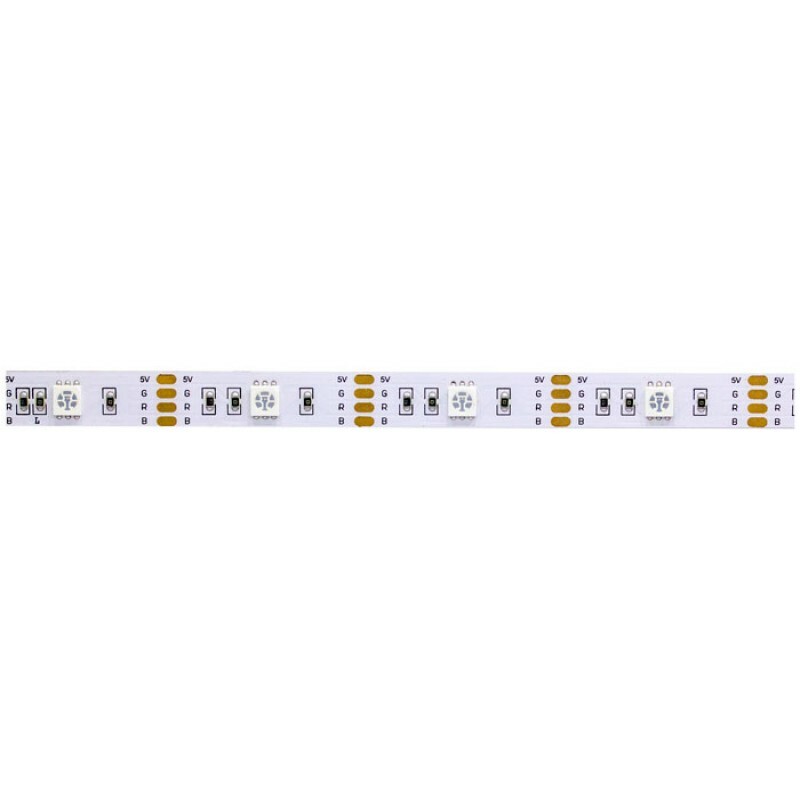 The 5v RGB LED strips can operate safely up to 5.2v DC maximum. Anything higher than 5.2v may cause damage to the ribbon. The current required for the 30 and 60 LEDs per meter models vary. 30 LEDs per Meter Model: One meter of the 30 LEDs per meter strip requires 500mA per color for each of the Red, Green and Blue elements. A full 1-meter length with all three color operating at full intensity (which will generate the color white) will draw very close to 1,500mA (1.5A) total. 60 LEDs per Meter Model: One meter of the 6 LEDs per meter strip requires 900mA per color for each of the Red, Green and Blue elements. A full 1-meter length with all three color operating at full intensity (which will generate the color white) will draw very close to 2,700mA (2.7A) total. 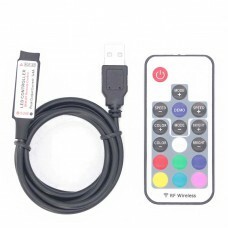 With the use of simple RGB controller system, current draw is substantially reduced by providing a PWM signal to the LED strip, and they have the added advantage of displaying various color combinations and animations. 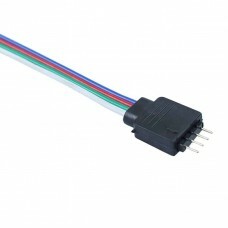 The 5v RGB LED Strips are fully compatible with our RGB LED RF Mini Controller and the Keypad RGB Mini Controllers. 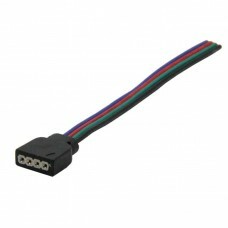 If you are trimming the LED strips yourself, you will also need the matching connector for the controllers (see our Double Male Needle Connector).